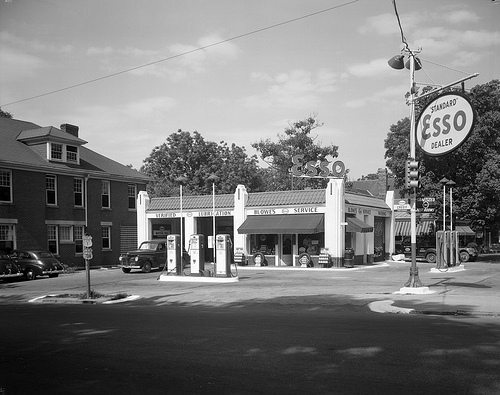 We are throwing back to 1941, and Bowle’s Esso Service Station on Person Street in Raleigh. Historic buildings can be found everywhere in downtown Raleigh, but the purposes of those buildings change over the years. The gas station is now Gringo A Go Go, serving Mexican food rather than gasoline to its patrons. Happy Thursday!